Did you know that one of the best barbecue stores on the planet resides quietly on my website, barbecuebible.com? It’s true. For several years, my staff and I have vetted the many hundreds of products that come our way and placed the worthy ones on our virtual shelves. You’ll find everything from the latest barbecue accessories (including grills and smokers) to hard-to-find provisions and specialty foods: the Alaskan spruce salt that’s incredible on beef; Vermont Maple Sriracha Hot Sauce; authentic bomba rice for grilled paella; and much, much more. To celebrate the new year and its possibilities, I rounded up a dozen new items that will help you polish your grill game in 2018. Powersmith Ash Vacuum: Ash build-up in the firebox can cause problems for pitmasters who cook with charcoal and wood, and especially for those who use pellet grills. The fine ash pellets produce can smother the fire, requiring a mid-cook clean-up and restart. 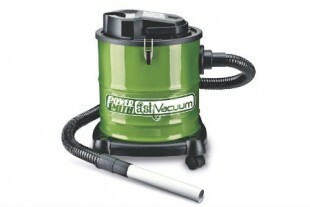 A good vacuum is essential. This one is constructed primarily of metal, making it ideal for suctioning ash from pellet grills, charcoal- and wood-burning grills and smokers, and even fireplaces. A two-part filter system keeps everything in the 3-gallon canister and prevents blowback. Can I get the door for you? You know that moment when you realize your hands are too full of food platters or grilling equipment to open the sliding glass door between the house and the patio? (Me, too.) Enter the Smart-Slider, an ingenious device that enables you to open the door with your foot. Unobtrusive, and incredibly handy. Wish I’d thought of it first. Behold, the power of the kettle grill: The Slow ’N Sear turns your kettle grill into a smoker and a blistering hot sear machine—all in one. The patent-pending design provides a true 2-zone environment within your kettle. Its built-in water reservoir separates your charcoal and wood from the cooking zone. This creates both a thermal barrier that keeps temperatures stable across the entire cooking surface as well as a humidity source to help deliver the best texture to your food right from the start of the cook. Flavor to spare: Featuring six electrifying flavors, my latest collection of rubs will take anyone’s grilling and smoking to the next level. Novices and pit masters alike will appreciate Malabar Steak Rub, Greek Island Herb Rub, Fennel Pepper Rub, Kansas City Smoke, Carolina Pit Powder, and Santa Fe Coffee. Game-changers, all. 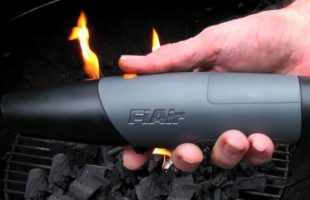 Fire, faster: The FiAir Point-and-Shoot Portable Blower is the first and only truly portable powered blower for wood and charcoal fires. 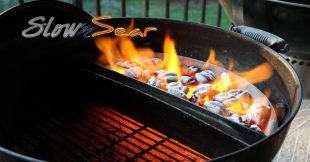 No need to give up charcoal flavor for gas grill speed, FiAir brings coals to searing temperatures in just 8-12 minutes and brings greater control to charcoal grilling and smoking. Wood starts even faster: 2 minutes or less. Compact size and light weight make it easy to go wherever you need fire. Runs on three AAA batteries (not included). Take smoking to the next level: Fill the canister of this device with wood chips, and the cleverly-named Smoke Daddy Magnum P-I-G will give you up to 5 hours of adjustable cold smoke. Use it to augment the smoke flavor in your favorite barbecued foods, or cold smoke salmon, trout, cheese, or other delicate proteins. The P-I-G can even be used in conjunction with home-built smokers. The best of both worlds: Leave it to grilling pioneer Weber to bridge the gap between idiosyncratic natural lump charcoal and more predictable briquettes. Introducing Weber’s 17950 Natural Hardwood Briquettes. Made of 100 percent natural hardwoods, a chimney full of these babies will furnish consistent heat for up to 3 hours. Try a bag, and let me know what you think. Expand your grilling horizons: The Spanish call it la plancha. Argentinians call it la champa. We call it the best way there is to cook Spanish-style seafood and veggies over a wood, charcoal, or even gas fire. The Steven Raichlen Best of Barbecue cast iron plancha gives foods a crusty, smoky sear while keeping them succulent on the inside. 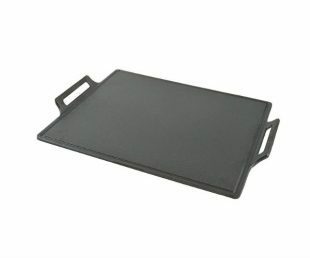 The plancha is excellent for delicate fish, shrimp, vegetables—anything that tends to break apart, fall through the rungs on the grill grate, or dry out on the grill. Raised side handles for easy moving on and off the grill. Trending…: Looking for something different to do with pork shoulder? 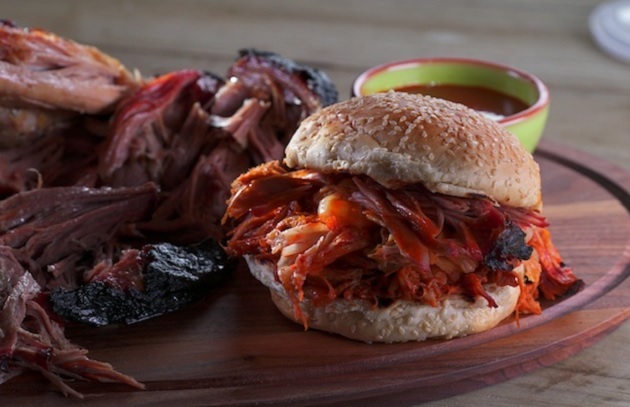 One of my most popular recipes on Season 3 of Project Smoke was Korean Pulled Pork with KB Sauce. It was published this past year in Sauces, Rubs, and Marinades (see below). But there’s one ingredient you likely won’t find at your local Piggly Wiggly—gochujang. It’s a super-flavorful Korean chile paste that I predict will be the next sriracha. Find it in my online store. A must-have barbecue reference: Completely updated and revised, Sauces, Rubs, and Marinades is a virtual encyclopedia of chile-fired rubs, lemony marinades, buttery bastes, pack-a-wallop sauces, plus mops, slathers, sambals, and chutneys belongs in the library of any serious grill jockey. It’s a cornucopia of all the latest flavor trends, drawing from irresistible Thai, Mexican, Indian, Cajun, Jamaican, Italian, and French cuisines, as well as those building blocks from America’s own barbecue belt. Contains over 200 recipes and inspired suggestions for use. No grill? 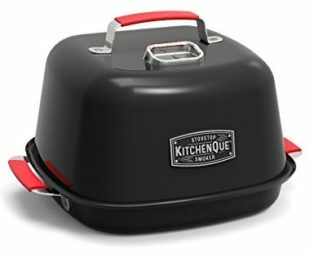 No problem: Introduced by Charcoal Companion just before the holidays, the KitchenQue stovetop smoker for indoor use is a godsend for people who crave the flavor of real wood smoke but do not have access to a smoker or grill. It is large enough to smoke a whole chicken, fish, brisket flat, prime rib, shellfish, and much, more. Attains temperatures of 400 degrees, meaning poultry will turn out with crisp skin. Works on electric, gas, or induction-type burners. Uses fine sawdust for smoking, which can be easily replenished during a cook. Keep it clean! Viewers of Project Smoke frequently ask how we keep the grills and smokers used on the set so pristine-looking. My fire wranglers use a lot of elbow grease, to be sure. But two products give them a major assist. The first is environmentally-friendly Safecid, an effective grill cleaner and degreaser I use at home. The second is an inexpensive brick of pumice stone that restores stainless steel grill grates to like-new condition. Have you tried any amazing new barbecue products? Tell us about them on Facebook, Twitter, Instagram, or the Board.